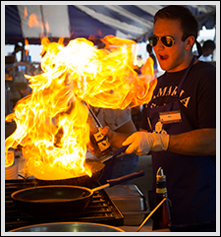 The Fort Lauderdale Greek Festival celebrates the best of Greek food, music, dancing, and culture. 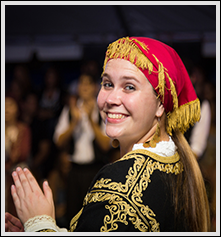 Experience authentic Greek foods and homemade Greek pastries; Greek music, traditional Greek Dancing by all our ‘Palazakia’ and ‘Kamaria’ dancers; an indoor marketplace full of vendors and an outdoor area for kids with carnival rides & games and other children’s activities, and much more. Experience authentic homemade Greek Food made in our brand new kitchen! Don’t miss out! Enjoy traditional Greek folk dances performed by our dancers. Performances occur throughout the day. 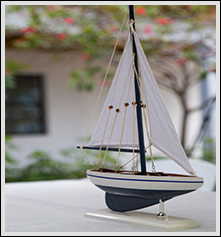 Our Great Hall will welcome shoppers as we set up booths within a cool building a short walk to the main tent.